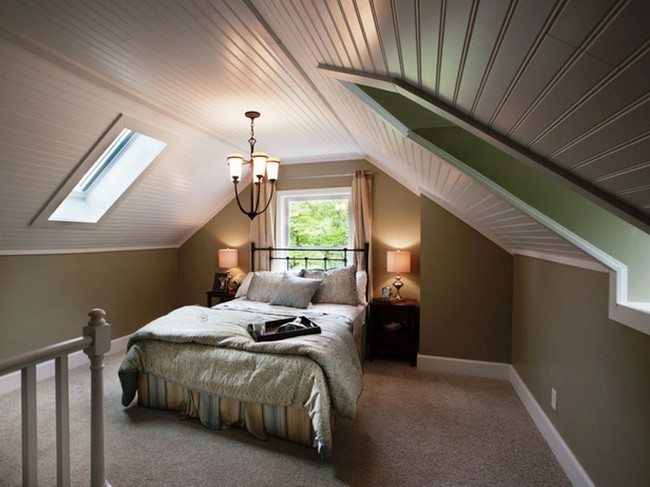 If you are pressed for space in your home, then you could as well turn your attic into a bedroom, rather than using it to store items ou don’t need anymore or leaving it idle. 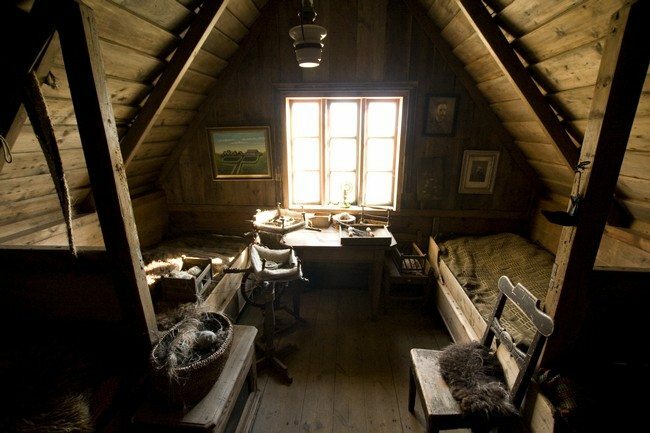 Attics make good bedrooms for kids and teenagers, not to mention they can also act as cozy and relaxing bedrooms for adults also. 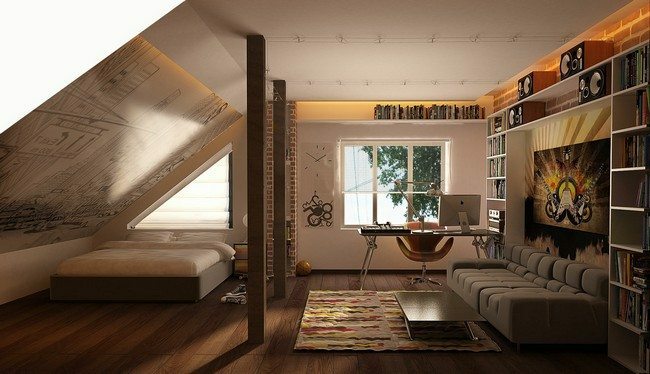 However, converting an attic into a presentable bedroom can be a tedious task because of the limited space options and dim lighting. 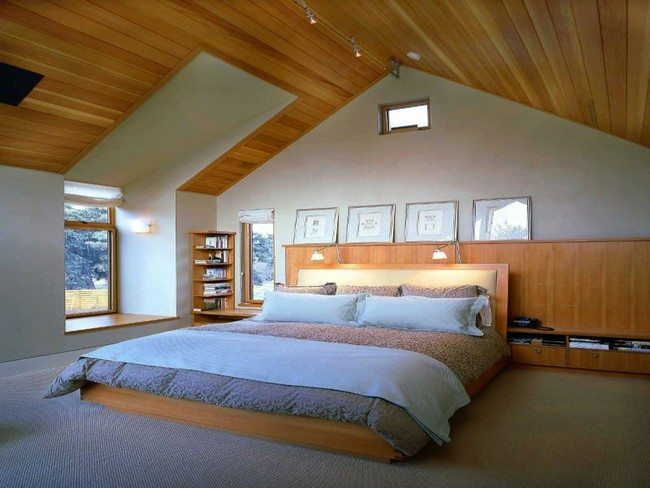 Below are some tips to help you solve these challenges and make a decent bedroom out of your attic. 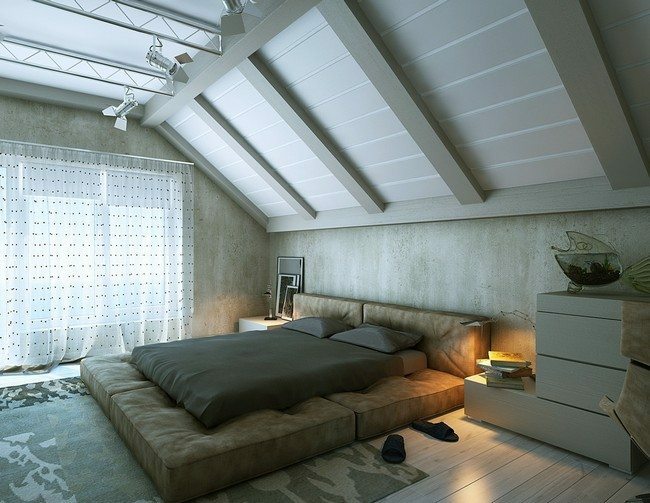 Because space is minimal in the attic, you should try to find ways to make it appear larger. 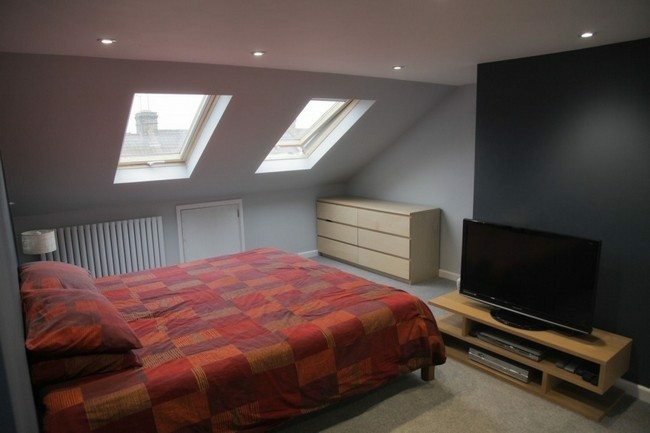 One way of doing this is by painting the walls and ceiling white. 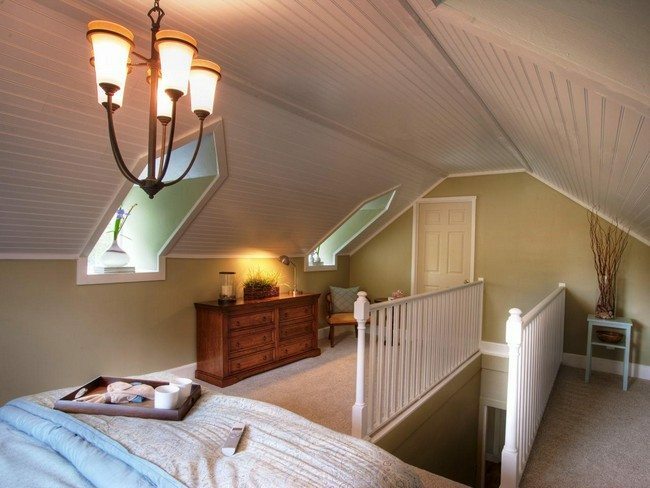 Many attics have long and narrow dimensions, which can make the view boring to look at. 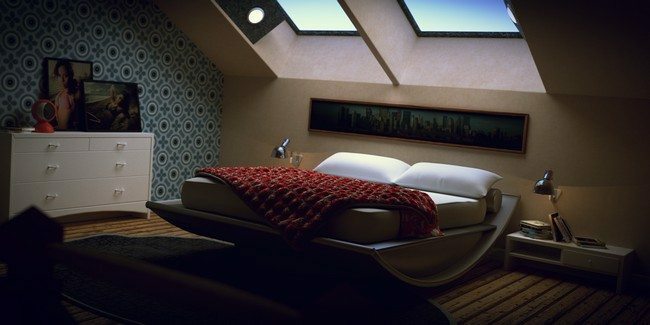 You can solve this problem by placing the bed against the longer wall, like in this bedroom. 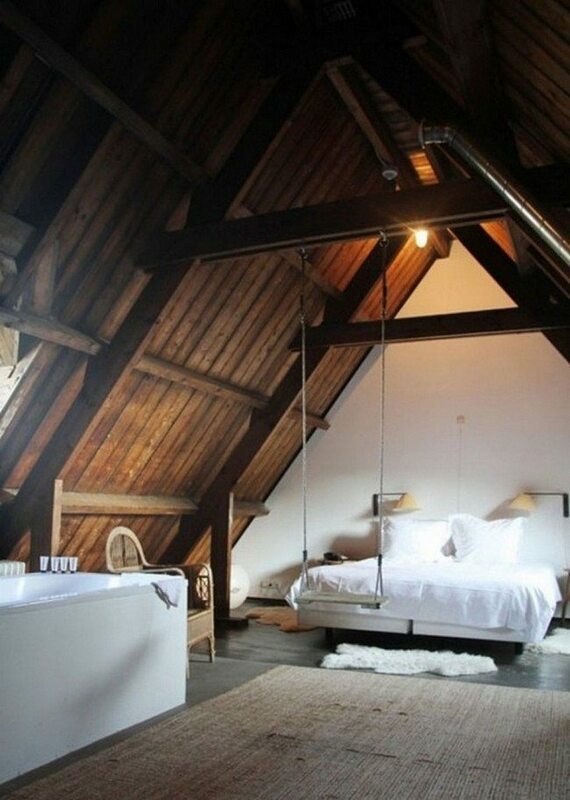 This will even out the dimensions of the room. 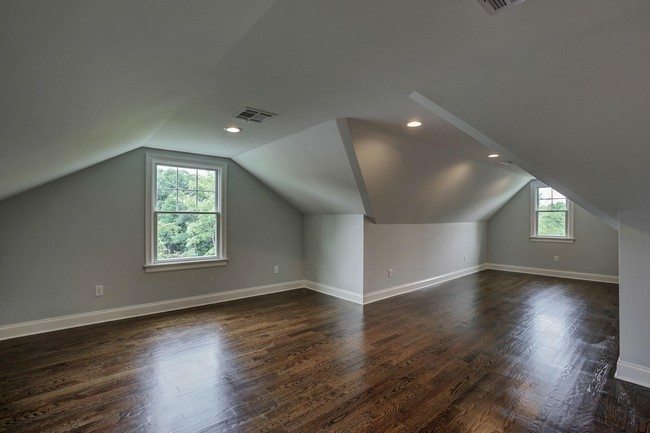 Because of the limited space options, it is always wise to fill an attic bedroom with the items that are really necessary, so as not to create clutter. 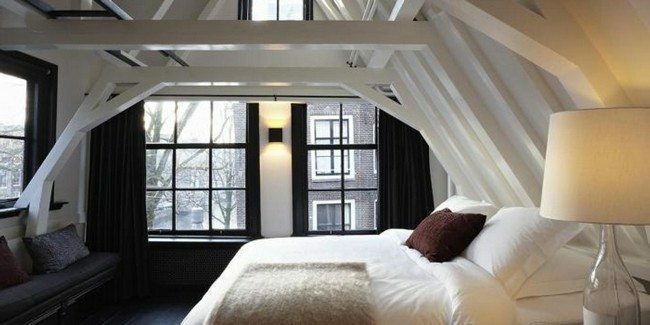 Going with a simple minimalist design like the one in the attic bedroom above can result in an elegant and presentable look. 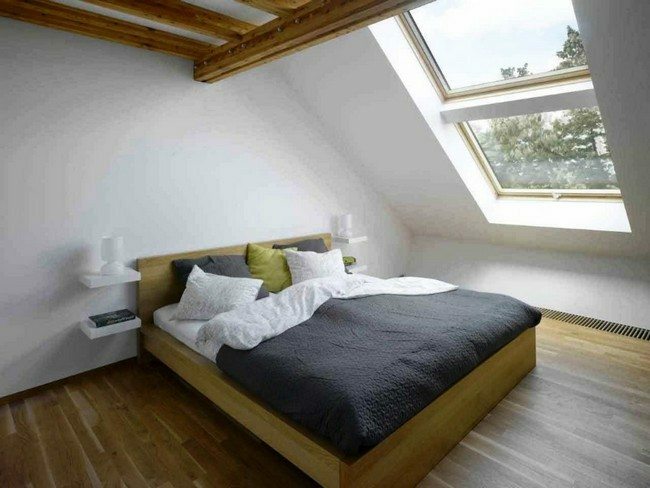 Since lighting is an issue in attic bedrooms, especially during the day, it is recommendable that you incorporate windows in your attic bedroom. 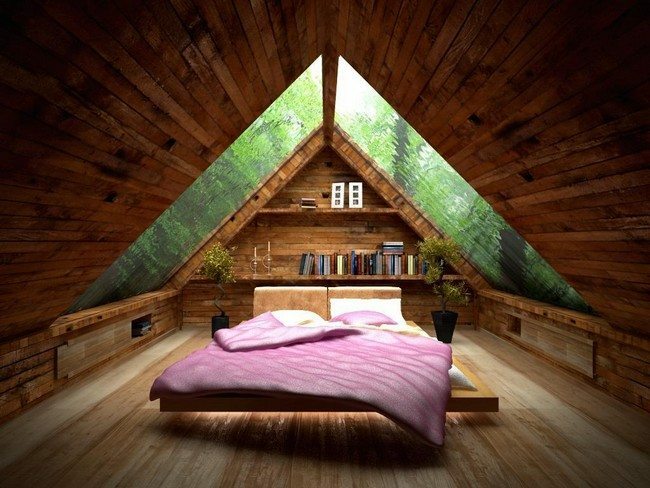 Position the windows in a direction that allows maximum penetration of light into the attic bedroom. 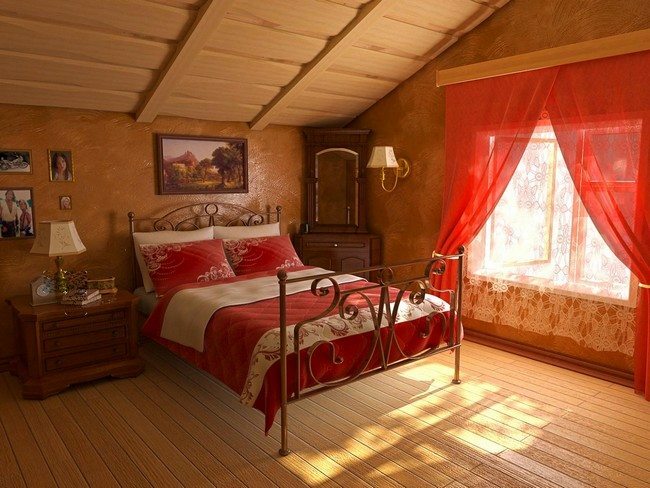 Lighting up the bedroom makes it appear brighter and livelier. 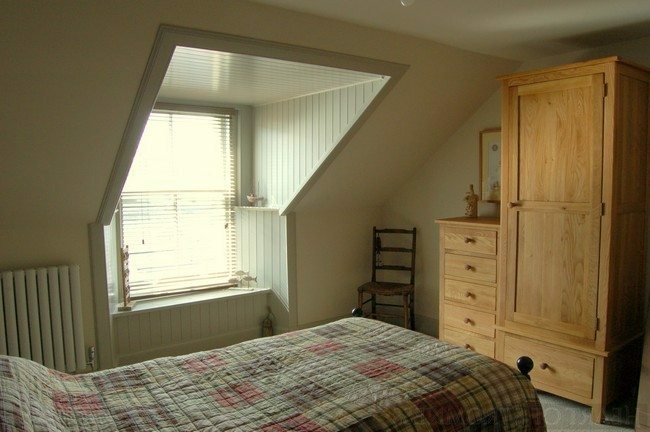 Store your items in closets and cabinets to avoid clutter and disorganization. 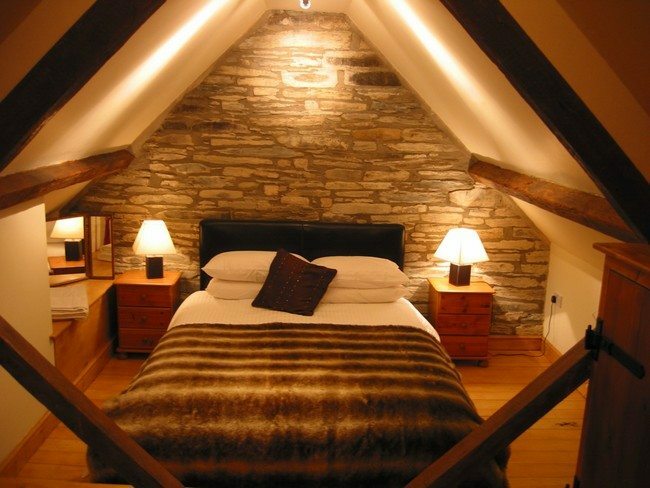 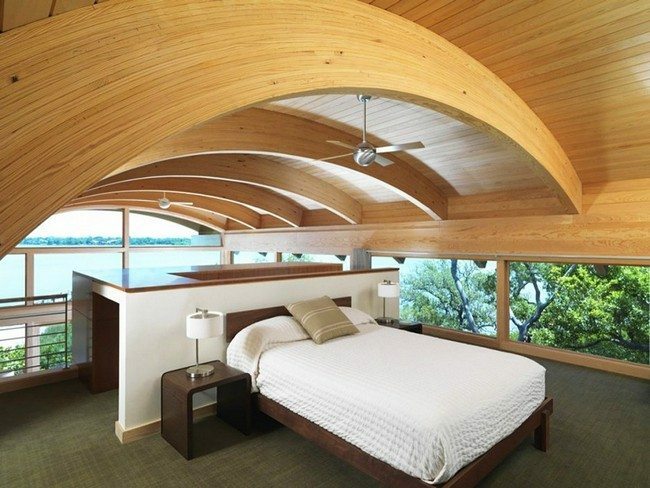 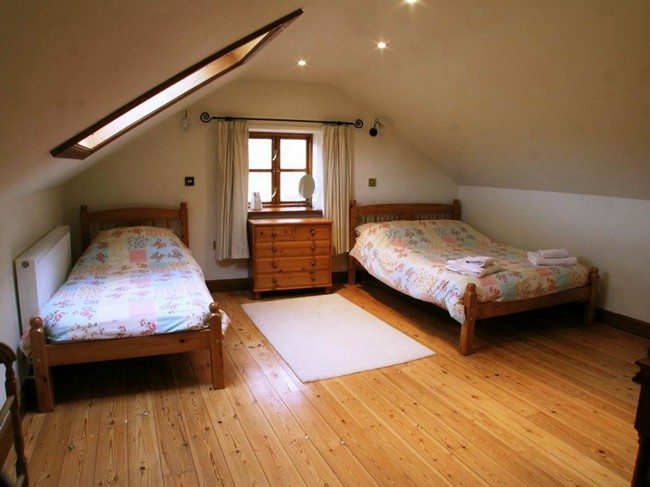 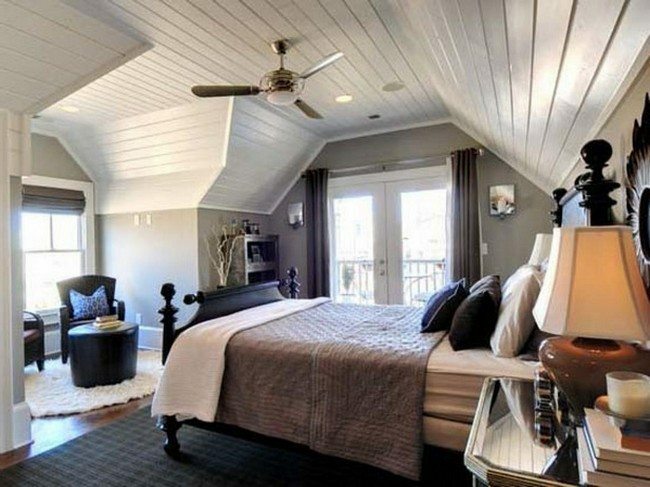 You can add a patio or balcony to the attic bedroom to spice things up even more. 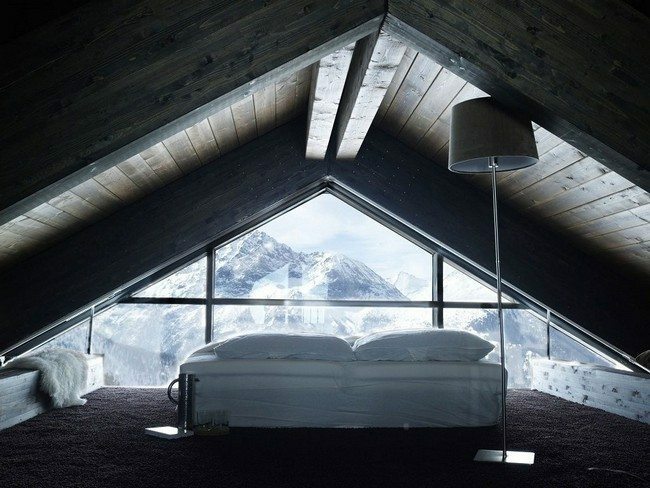 The attic balcony can provide you with a cozy and comfy place to relax. 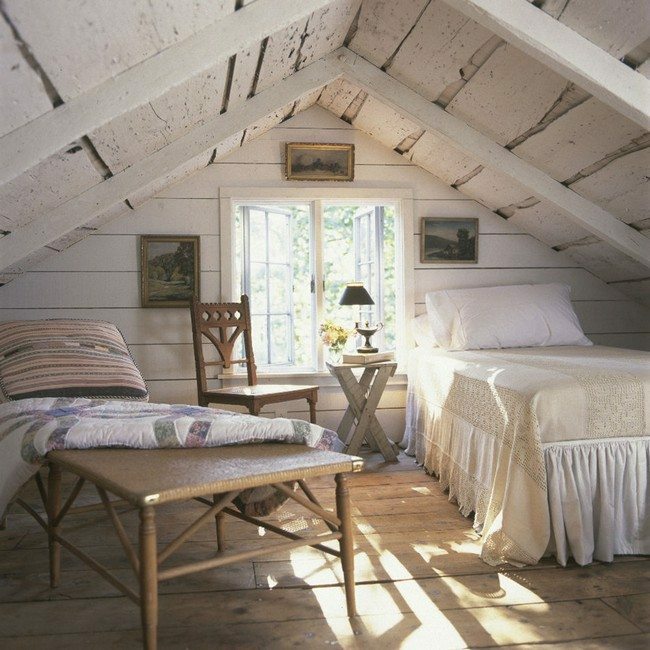 Adding color and patterns to the attic bedroom makes it lively and cheerful. 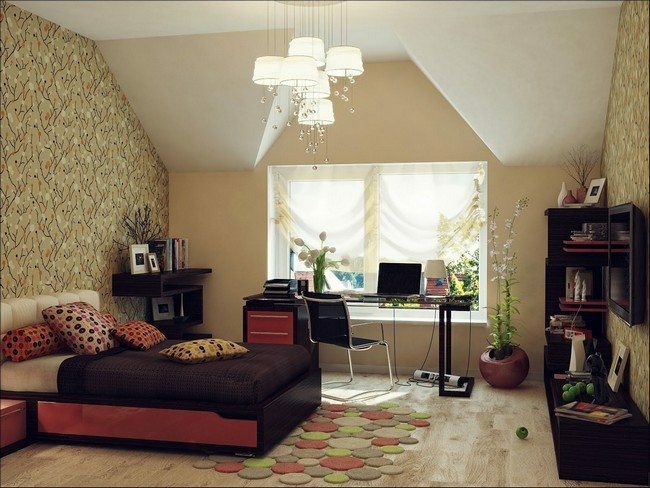 In this bedroom, the color and patterns on the wallpaper and accessories such as mat and pillows makes it cheerful, when accompanied with the green and flowery indoor plants.